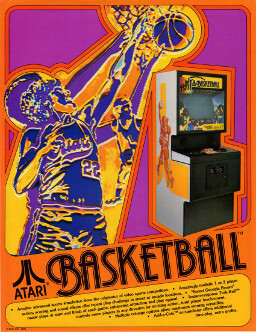 The coin drops, the start button simultaneously activates the familiar "Sweet Georgia Brown" and the "jump ball". The crowd cheers, the players square off to get the ball on the tip-off… and the play is on! 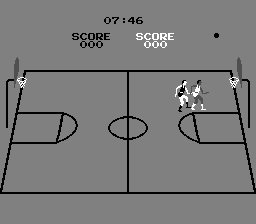 Each player controls his man – dribbling left, right, forward, back – angling for the best position to shoot and score. The crow cheers each time a basket is made. Control, the name of the game!